Lovely natural pink Rubellite in lavender colored Lepidolite Quartz from the Stewart Mine located in San Diego County, California. Rubellite vibrates in resonance with the heart chakra strengthening the ability to understand love and opens the heart with the knowing and acceptance of universal love. The positive energies of Rubellite promotes tactfulness and balances aggression or passivity. These energies also offer an increase in one’s physical endurance and stamina. Helping to overcome fears and perceived limitations, Rubellite connects with the root chakra to support feelings of abundance, survival, and safety. Rubellite helps to heal afflictions of the heart both physically and emotionally gently allowing the transmutation of grief into feelings of joy and experiencing the “spark” in life. Rubellite acknowledges the gift of love, as it helps one to recognize, give, and most importantly be open to receiving love. Rubellite helps one to feel more comfortable with sharing love. Rubellite helps one feel MORE….more loved, more protected, more connected, and completely supported. Rubellite helps one gather courage and find the strength within to face perceived limitations and fears, successfully moving beyond in a positive and loving manner. The energetic vibration emitted by Lepidolite brings forth pure and loving light with calming frequencies to those who use this healing stone. Lepidolite is a stone for transformation for the highest good dissipating negativity and releasing old emotional and behavioral patterns through the re-conciliatory process brought by change. Lepidolite focuses on what is important and facilitates decision making through objectivity and concentration. Lepidolite encourages independence and self-reliance while achieving personal goals. 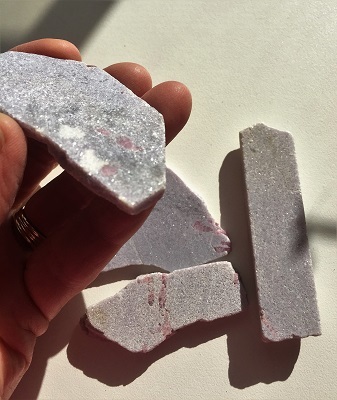 With its high lithium content, Lepidolite is an extremely useful crystal tool for the reduction of stress and to alleviate states of depression. 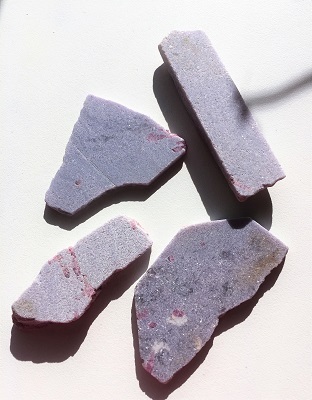 Lepidolite is also helpful for those who have difficulty in setting appropriate boundaries. In healing, Rubellite may be helpful in the treatment of the digestive system, blood vessels and the reproductive system. Rubellite’s calming and balancing energies may be soothing to the nervous system and may alleviate states of anxiety or depression. Lepidolite relieves allergies, strengthens the immune system, restructures DNA and enhances the generation of negative ions. 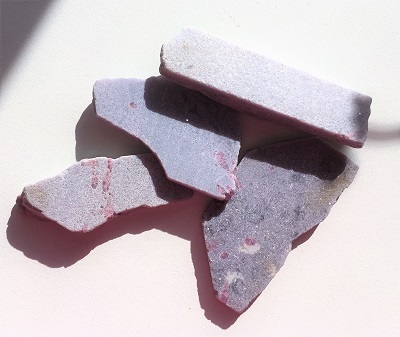 Lepidolite also is helpful for numbing sciatica and neuralgia and in overcoming joint problems. 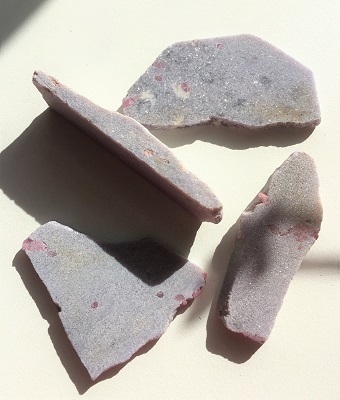 Lepidolite is a detoxifier for the skin and connective tissue.